New York, NY: Hawthorn Books, 1975. Text/BRAND NEW & Bright. Bi-color boards w/gilt spine lettering/Fine. DJ/NF; sound w/nip & closed tears to edges, sealed w/archival tape. Light brown spotting (acidic paper reaction to text blocks. Survey of American farmhouses & outhouses of the 18th & 19th Centuries. 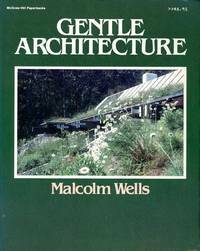 An architectual history as well as farmsteading as a way of life. 265 pgs, augmented w/some 200 b/w photos & floor plans, and 22 color plates. 13th book from prolific social historian and author Henry J. Kaufman (1908 - 2001), skilled in metal crafts, and life spent in rural Pennsylvania. 24 chapters presented in 5 parts: Part I, New England; II, The Middle States; III, The South; IV, The Outbuildings; and V, Farm Museums.. First Edition, 2nd Printing. Hard Cover. NEAR FINE/Near Fine. Illus. 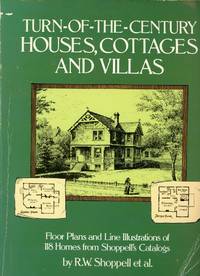 by Henry J. Kauffman (Author-Photographer); Tom Callahan (Floor Plans). American Farmhouses. Boston, MA: Shambhala, 1995. BRAND NEW & Collectible. First Edition, First Printing. Black linen boards w/gilt embossed spine lettering/Fine. DJ/Fine w/short closed nip to upper back edge. Art & architecture of the Kathmandu Valley (or Nepal Valley) of Nepal, home of 8 of the the world's tallest mountains including Mt Everest. Being at the crossroads of ancient civilizations of the Indian subcontinent and the Asian continent at large, is rich in human endeavors. It has 7 World Heritage Sites, some 130 major monuments, and serves as pilgrimage sites for Hindus and Buddhists. 239 pgs, color photos, in 2 parts preceded by a short history and concluding with Glossary.. First Edition, First Printing. Hard Cover. NEW - COLLECTIBLE/New. Illus. by Michael Hutt (Author-Photographer). First Edition, First Printing. Lausanne, Switzerland: Edita Lausanne, 1964. Text/BRAND NEW & Clean. First Edition, First Thus. Gilt embossed black linen boards/NF w/trace edge & surface rubs. DJ/None. Slip-case/None. Published w/o ISBN; ISBN subsequently assigned. Intellectual history & photographics essay of European Chuches by Ukrainian --born Americaan photographer Dimitri Kessel (1902 - 1995), who joined Life magazine in 1937, and who travelled Africa, Europe, the Middle East during World War II, and postwar China. 264 pgs, covering more than 500 years. Outstanding color photography (many tipped-in) in 5 parts: 1, Byzantine Churches; 2, Romanesque Churches; 3, Gothic Churches; 4, Baroque Churches; 5, Modern Churches, followed by Plans & Dimensions, and Chronological Chart. Fine copy less dustjacket.. First Edition, First Thus. Hard Cover. NEAR FINE/No Jacket. Illus. by Cliches Actual, Bienne; Schwitte, Bale (Color Engravings)r. Vintage/European Churches. New York, NY: Rizzoli, 1986. Text/BRAND NEW & Bright. Illustrated green softcover/NF w/trace surface wear & faint creasing to spine. Award winning architect Robert A.M. Stern (1939 - ), founding partner of Robert A.M. Stern Architects, was the Dean of the Yale School of Architecture, 1998 - 2016. Known for 15 Central Park West apartment building in New York, residential colleges at Yale Univ., as well as Philadelphia's the Museum of the American Revolution. Stern finds architecture is a "play of forms under the light", and says: "Architecture is a narrative art, and architectural style is analogous to poetic diction". 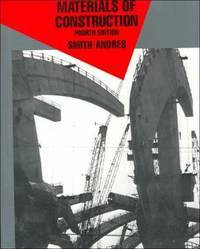 With these reminders, the buildings & projects in this volume (1981 -1985), are what Stern sees are works of "five very fruitful years". 304 pgs, w/color photos, in 5 sectors: 1, Introduction: Modern Traditionalism (Robert A.M. Stern); 2, Buildings & Projects; 3, Other Projects; and 4, Biography, followed by Bibliography, Credits, and Acknowledgements. . First Edition, First Printing. Soft Cover. NEAR FINE - COLLECTIBLE/None as Issued. First Edition, First Printing. Santa Monica, CA: Hennessey & Ingalls, 2004. BRAND NEW COPY w/trace edge rubs to softcover. Southern California's version of Deco Design exhibited in architecture and interior design of Los Angleles of the 1920s & 1930s. 96 page, photographic tour of historical residential, commercial, and public buildings of the period. . First Edition, First Thus. Soft Cover. NEW/None as Issued. Illus. by Carla Breeze (Author-Photographer). Deco Design. New York, NY: Conde Nast, 2016. BRAND NEW COPY. Cover Art: Photo of Florida home of Yankees slugger Alex Rodriguez by Carlos Mota. Feature articles, and autors of, include: 1, Home Run (Sam Cochran); 2, Family Ties (historic Kentucky estate, Alice Gordon); and 3. Great Design (home products, Parker Bowie Larson), among many others.. Volume 73, Number 6. Soft Cover/Periodical. NEW/None as Issued. New York, NY: Conde Nast, 2016. BRAND NEW COPY. Cover Art: Photo of Long Island estate of fashion designer Reed Krakoff by Ivan Terestchenko. Feature articles include: 1, This is Love :Lorenzo Castillo's family retreat in Northern Spain (Lisa Lovatt-Smith); 2, Hampton Classic: Childhood home of Jacqueline Kennedy Onassis, now home to Reed Krakoff (Brad Krakoff); 3, Windy City Style: Chicago apartment of Holly Hunt (Jen Renzi); and 4, A Perfect Setting: Timothy Corrigan's perch (Dana Thomas). . Volume 73, Number 4. Soft Cover/Periodical. NEW/None as Issued. Periodical/Architecture. New York, NY: Architectural Digest, 2016. BRAND NEW COPY. Cover Art: Photo of porch to a New England getaway in Maine by William Waldron. Volume devoted to aesthically pleasing designs and furnishinging free in spirit. Articles cover delights in New England, Malibu, South Carolina, New York, besides presentation of pools to splash in.. Volume 73, Number 6. Soft Cover/Periodical. NEW/None as Issued. New York, NY: Architectural Digest, 2016. BRAND NEW COPY. Cover Art: Portrait of CNN anchor Anderson Cooper, poolside by his Brazilian home, by Simon Upton. . Volume 73, Number 8. Soft Cover/Periodical. NEW/None as Issued. San Francisco, CA: Chronicle Books, 1991. Text/BRAND NEW. Illustrated softcover/NF w/trace wear to front upper/lower corner tips. What might one be alert to choosng locattion and a house in eathquake regions such as California, Nevada, or even Indonesia. Practical guide to prepatory survival. 218 pgs, illustrated with photos & diagrams, 10 chapters in 4 parts: Part I, A Primer on Earthquakes: Chapter 1, How Earthquakes Are Caused & Measured. II. The Geologic Hazards of Earhquakes---How to to Recognize & Avoid Them: 2, The Hazards of Faults & Faulting; 3, The Relative Hazards of Various Geologic Foundations 4, The Man-Made Hazards to You Property---From Dams to Neighboring Buildings. III, The Structural & Architectural Hazards of Earthquakes: 5,, The Principles of Earthquake Resistance in Buildings; 6, The Best & Worst Types of Construction & Earthquake Resistance; 7, Structural & Architectural Design & Detailing for Earthquake Resistance; 8, How to Minimize Interior, Utility & Other Household Damage. 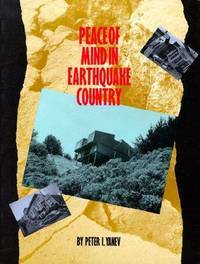 And Part IV, The Other Remedies: 9, Earthquake Insurance; and 10, How to Behave Before, During & After a Quake to Protect Your Family, Yourself & Your Property, followed by Appendices to faults of America's western states.. First Edition, First Printing. Paperback. NEAR FINE/None as Issued. First Edition, First Printing. New York, NY: Viking Press/Studio Book, 1966. Text/Trace soiling to pgs 10 & 13, else Bright, Clean as New. Orange linen boards/VG w/edge rubs. DJ/VG; strong & sound w/rubs to edges & surface. PO sticker to front cover verso. 128 pgs, illustrated with archival photos. Recounts of visits to castles, not homes, through Eurupe, Africa and the Near East from Mary Cable (1904 -). Artcles first published in Horizon Magazine. 128 pgs. The 8 travel narratives are: 1, Ludwig's Dream Castles; 2, A Habitable Monument (Bleneheim Palace); 3, "A Cluster of Soap Bubbles" (The Alhambra); 4, The Emperorer's Folly (Hadrian.s Villa); 5, Palace in the Sun (The Grand Palace, Bangkok); 6, "The Very Pearl of the Realm" (Nonsuch Palace); 7, The Marble Cottages (Vanderbillt, Newport Houses); and, The Grand Seraglio (Topkapi Seray, Istanbul).. First Edition, First Thus. Hard Cover. Very Good/Very Good. History/Travel Narratives. Dover Publications, 1984. Text/Bright, Clean, As New. Softcover//Good; sound w/edge & surface wear. w/marked creasings to lower front corner. Historical survey and guide to Late Victorian (ca. 1880 - 1900) domestic architecture favoured in the United States. 118 line drawings and floor plans. Dover reprint from Shoppell's Catalogs. Reference & resource for those restoring and repairing of theses elegant structures. Strong copy w/tired softcover.. Dover Reprint. Soft Cover. Very Good/None as Issued. New York, NY: McGraw-Hill, 1982. Text/As New. Green softcover/VG; strong w/rubs to corner tips & slight curl to leading edge. Soiling to leading edges of some first 5 pgs. A reflective, inspiring dialogue on the manifold aspects of architecture --- that human endeavor that carries with it the social responsibility not to destroy this very earth that sustains us and all the rest of the natural world. Land-use Ethics. 178 pgs in 9 chapters: 1, Commitment; 2, Reverence for Life; 3, Design Theory; 4, Design Tools; 5, Land; 6, Energy & Resources; 7, Materials; 8, Construction Practices; and 9, The Last Page. Strong copy despite flaws. First Edition, First Thus. Soft Cover. Very Good/None as Issued. Tucson, AZ: Bob Lanning, 1996. NEW COPY w/traceedge/surface wear to spiral bound white softcover. Innovative, ecologically sound, inspiring ideas in home construction. 16 cost-effective architectual designs for straw bale houses, ranging from 600 to 2000 square feet. Designs use wood post-and-beam construction with staw bales as non-bearing infill. Pending solar gain, temperature, prevailing winds and view, are factors in determination of orientation.. First Edition, First Thus. Soft Cover/Spiral. NEW/None as Issued. Illus. by Bob Lanning (Architectural Drawings). Rohnert Park, CA: Pomegranate, 2003. Cards/BRAND NEW sealed set. Box/NF w/trace rubs to corner tips. Full set of 48 cards. Prize photographic tour of famous, architectural marvels with historical information. Last card is of Belvedere Castle atop Vista Rock in Central Park. A playful architectural folly and one of few structures (besides bridges) planned for inclusion in the Central Park. Designed by Calvert Vaux, built 1870, with photo taken 1910 by an unknown photographer. 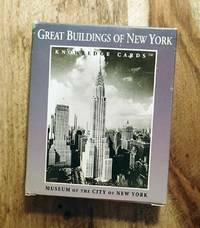 Other buildings include: Included are the Plaza Hotel, the World Trade Center, the Chrysler Building, the United Nations, Madison Square Garden, the New York Public Library, and the Metropolitan Museum of Art.l. Cards/Boxed. NEW/None as Issued. Card Set/Boxed. Middlebury, VT: Paul S. Eriksson, 1992. BRAND NEW COPY w/trace edge wear to softcover. History of Shelburne Farms off Lake Champlain, Vermont, and of the familes of Webb and Vanderbilts. Illustrated with archival photos and line drawings. 95 pgs, Text covers architecture and four generations of the Webb family occupants.. First Edition, First Printing. Soft Cover. NEAR FINE/None as Issued. Montpelier, France: L'Impriemerie Cooperative/L'Abeille, 1978. Text/BRAND NEW & Bright. Illustrated, yellow softcover/VG; sound w/light edge & surface rear. Fold-out map to rear (also, BRAND NEW). Inked page references to Table of Contents --- a convenient cross-reference. Vintage (1978) tour guide to historical sites of Montpellier, southern France on the Mediterranean Sea, which has gained historica stature with passage of time. 91 pgs with archival photos. A history of Montpellier from the 10th to the 20th centuries preceeds text in 7 parts: I, Ses Monuments; II, Ses Jardins; III, Ses Musees; IV, Ses Vieux Hotels; V, Son Nouveau Centre Ville; VI, Son Parc Zoologique; and VII, Son Expansion.. First Edition, First Thus. Soft Cover. Very Good/None as Issued. Text/French.